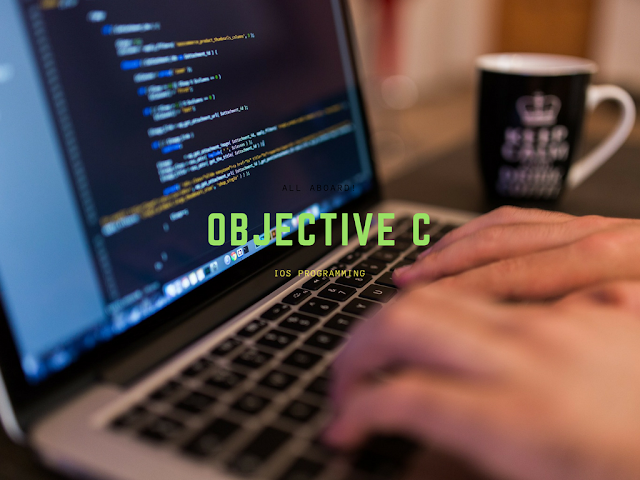 What is Objective C? Why It Is A Popular Programming Language? With the advent of the 20th century, Apple has risen to become one of the most predominant companies on the market. Their iPhone and Macintosh devices have found their way to the mainstream audiences which ensured the safety and survivability of the brand. However, these surface-level success stories only serve to take us far deeper into Apple’s success, with their Objective C programming language. The programming language quickly rose in popularity, garnering attention and critical acclaim from software developers across the globe. What exactly is Objective C as a programming language and why should you care about it today? The true origins of Objective C go as far back as the 1980s when the company first started building home computers. It was intended to be used with NeXT, Apple’s then-popular operating system (which leads to the development of iOS). Apple quickly grew in popularity and in 1996 the OS X was born with full implementation of Objective C programming. This was the first public demonstration of what the coding language was capable of in the right hands, leading to many companies adopting the language as their primary tool of choice. Apple has grown as a company and a service ever since they opened the iOS online store in 2008. This lead to the creation of Objective C. The programming language quickly grew in popularity due to its object-oriented nature and the ability to quickly launch applications to the iOS store without downtime. It grew to become as popular as Java and C in a matter of months due to its revolutionary technology. This goes to show how popular the language became in only a few months, giving Apple plenty of room to experiment and develop the technology further. However, the bane of Objective C is in its exclusivity to Apple’s products, meaning that it’s too troublesome as a development tool for PC and affiliate devices. The layman’s terms suggest that Objective C is completely different from C++, another popular programming language on the market. While layman terms are often wrong or unclear, they are pretty much on point when Objective C is concerned. The surface level distinction is clear; however, it goes far beyond that. Objective C is more flexible than C++ due to its object-oriented nature. However, C++ is better at binding commands together, allowing for more complex syntax to be implemented. Keep in mind that both languages are quite popular among professional programmers and both have their strengths and weaknesses. One of the main concerns Apple raised with Objective C programming was the inability to string complex commands, which lead to the development of internal categorization. This type of categorization works well for both programmers who write online and the end users, giving both parties ample resources and options for using Objective C to its fullest. Objective C grew in popularity not only because of its novelty but also for the fact that it introduced a much simpler workflow than its predecessors. Stringing simplified commands without fear of errors is much easier to manage with Objective C due to Blocks being introduced as a means to secure the code. The resulting rise in Apple’s stocks has proven to the public that this was the right move on the company’s part. More complex options don’t necessarily mean that the user experience is of higher quality – something that Apple has taught all of us over the years. What separates Apple and their Objective C programming language from the competition is exactly what everyone is trying to avoid – simplicity. This simplicity translates into Apple’s hardware design as well as software development. Both front and back end of each application that comes from Apple is as simple as it can be. This mentality translates into their openness towards anyone who wants to learn more about Objective C and utilize it for their benefit. Objective C is much easier and simpler to learn than most programming languages and definitely easier to learn than C++. Knowing something about C languages will help you get started with Objective C but it doesn’t mean you need to have some background knowledge before you start learning. The popularity of this language stems from the plethora of independent developers who took it upon themselves to experiment, develop and publish applications on the iOS store for the world to see. These aspiring programmers show us that Objective C is far from irrelevant in today’s world, and with the rising popularity of Apple products on the market, we can safely assume that Objective C is here to stay. With the simplicity it enjoys, Objective C managed to garner quite the following over the years. The language in itself is the least complex language on the market, but that doesn’t mean it lacks in versatility. Objective C is arguably one of the most dynamic programming languages on the market today, being bested only by C++ and Java respectively. The dynamic it provides ensures that programmers can always achieve their coding goals no matter how complex their initial ideas may be. Apple also offers a plethora of tutorials and guidelines as to how Objective C can be implemented to match and surpass the coding features of its contemporaries. With this level of dynamic and the ease of access it provides to potential coders, Objective C has nothing to prove to anyone other than to welcome them with open arms. No one can say whether or not Objective C will remain as popular as it is today. Given everything we have seen from Apple in the past few years, their intent is to develop and upgrade the programming language for some time to come. This might even turn out to be Objective C 2.0 in the form of a new and exciting tool that Apple will provide for its users. Regardless of what the future may hold, we can rest assured that this programming language will remain popular and in use for some time to come. Alaine Gordon is young and talented content manager at https://essays.solutions/. She has been writing professionally since 2010 about almost everything, starting from psychology and to the finance. Alaine Gordon graduated from the University of Colorado with B.A. in Journalism, 2011. She is open-minded, creative person who loves to make the people smile. Her credo is ‘Life is a fun enterprise’. In her free time, she loves traveling, reading science fiction and knitting. Her huge dream is to visit every single country in the world.